Peyton Manning has done it again. The star Indianapolis Colts quarterback took home the Associated Press' NFL Most Valuable Player Award Saturday, making him the first professional football player to win the honor four times, the Associated Press reported. Manning broke Brett Favre's record of three MVPs as he collected his fourth win in nine years, adding this year's award to the 2003, 2004 and 2008 MVP prizes. Manning threw for 4,500 yards and 33 touchdowns and led the Colts to seven fourth-quarter comeback wins, according to the AP. He earned 39 1/2 votes in the ballots, cast by 50 NFL sports writers and broadcasters. "It's been a different season," Manning told the AP. "Like I've said all along, it's been a challenge, it's been a grind at times, but guys have stepped up and played well." The Colts will play next week for the divisional round and keep home-field advantage throughout the AFC playoffs. 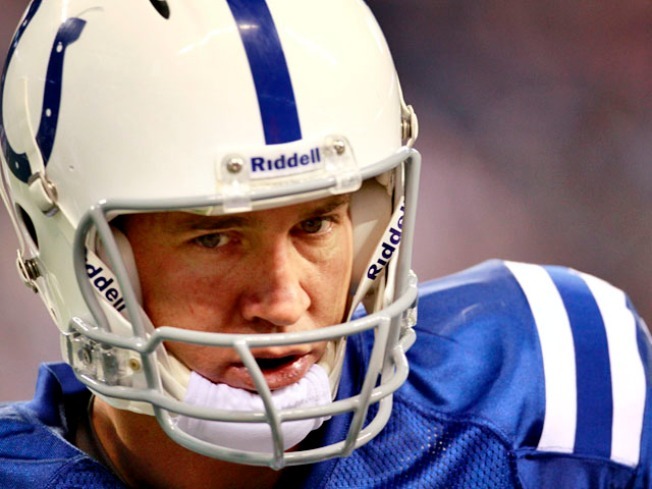 Manning, the 2007 Super Bowl MTV, has started every game in his career.